Our Curing Ovens are designed and manufactured with precision & the highest quality in the industry. Each oven is customized to fit the customer’s requirement for productivity and safety. Alpha Solutions offer a variety of Curing oven arrangements to fit both space and production requirements. Whether you need small oven or large, Alpha Solutions can build the oven to suit your needs or you can choose from one of the many standard designs. It start with a lower capacity and expand in 2500 panels increments up to 30000 panels. Our experience in building custom ovens for all industries can be put to the test if you need that special oven configuration designed to fit your needs. Our Customer knows that A S India INC. ovens can change right along with their needs. •	PLC / Microprocessor-based digital temperature controls. •	experienced service staff and large supply of spare parts. High pressure steam generators are essential for many industrial processes that require heating media temperatures at very high level. We are engaged in offering a wide range of Fully automatic products. These are most suitable for continuous supply of ultra-dry steam and are highly fuel efficient. 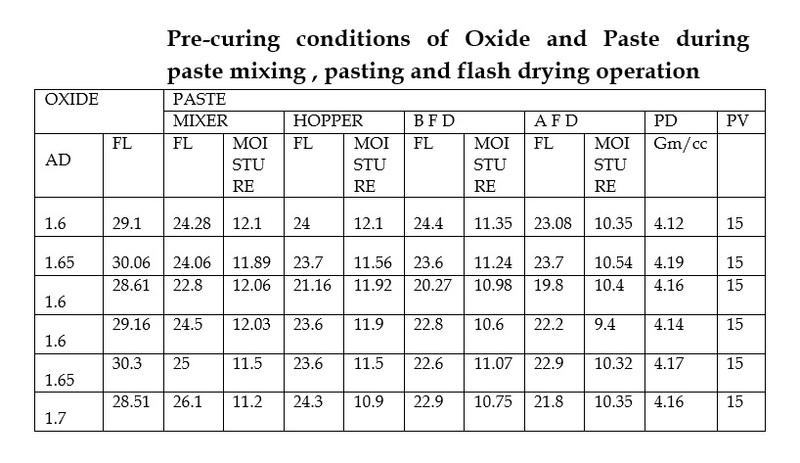 •	The presence of metallic lead has brought significant changes in the methods of handling plates immediately after being pasted. •	The need for such changes arise from the peculiar behavior of pulverized lead in the presence of air and moisture. In a perfectly dry condition, lead does not oxidize and this is equally true in case of abundance of water. •	The latter condition is beneficial in operations until the actual pasting of plates. •	Once the paste is applied to the grids, the residual moisture, the atmospheric humidity and ambient temperature all become significant. Why is curing process important ? •	Proper curing improves strength of the dried plates. •	It also result in proper bonding of interface between the grid and the paste . Why is curing a special process? •	In battery manufacturing, curing is the special process where the result of the output cannot be verified by subsequent monitoring or measurement. As a consequence deficiencies become apparent only after the product is in use or services has been delivered. 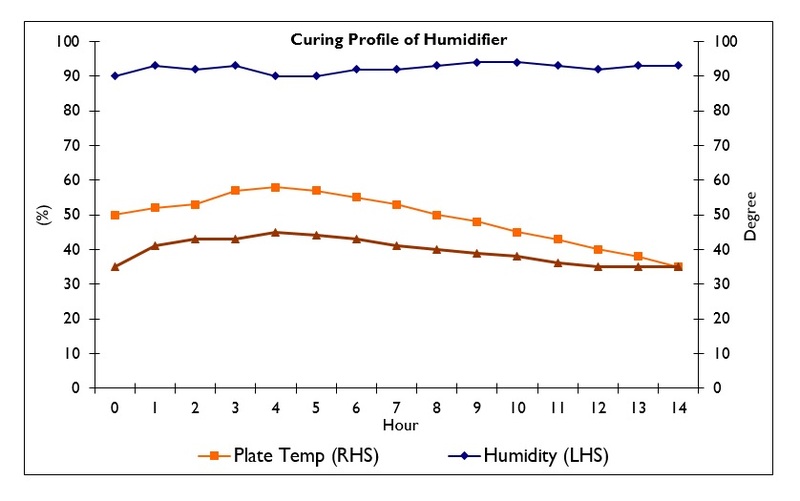 •	If we look at the profile of plate temperature, It is necessary to limit the plate temperature to around 70 degree Celsius maximum in order to achieve uniform residual lead content in cured plates. 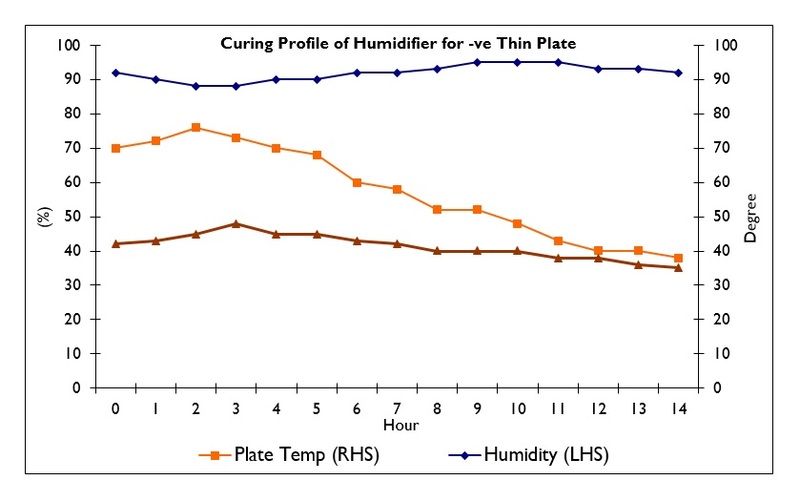 •	It is important to monitor free lead% and moisture content during and after curing and drying of plates. 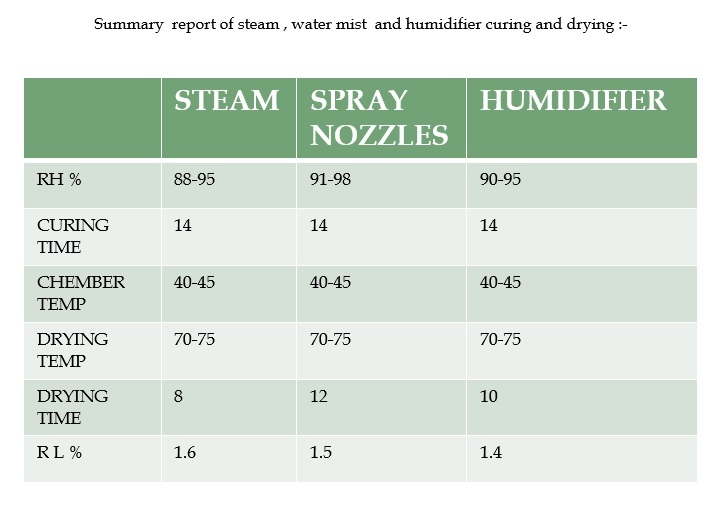 •	It is equally important to monitor and control moisture during prior processes such as mixing, pasting and flash drying. •	It is important to maintain humidity between 90-95 % and chamber temperature between 40 -45 degree Celsius before loading as well as during curing process. 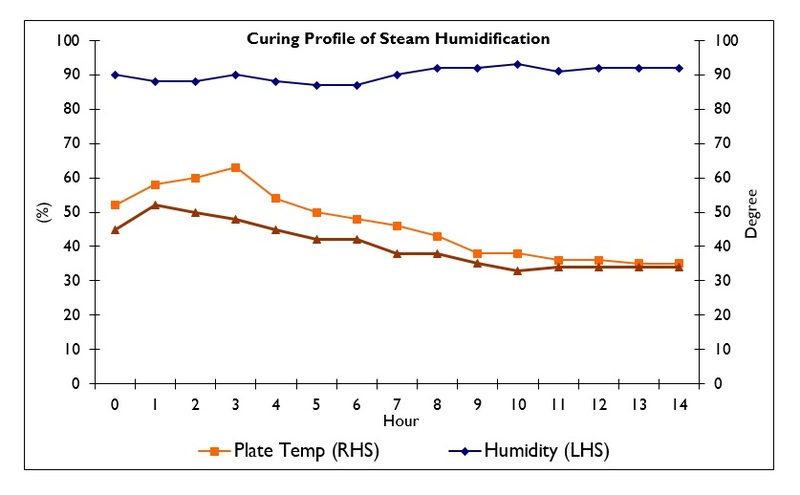 •	The plate moisture, the atmospheric humidity and ambient temperature plays an important role in curing process. 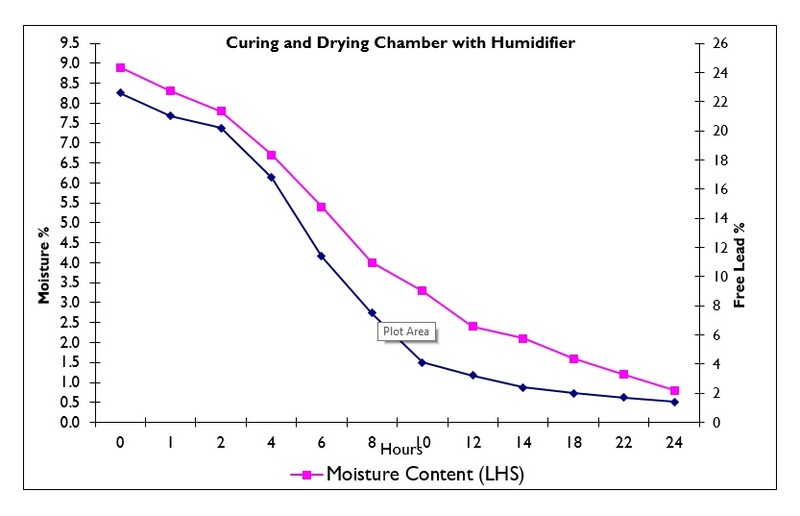 •	The trial summary as well as various graph profiles of Humidity, Chamber Temp, Plate Moisture, Free lead content and plate temperature shows that all the three curing methods are equally good. 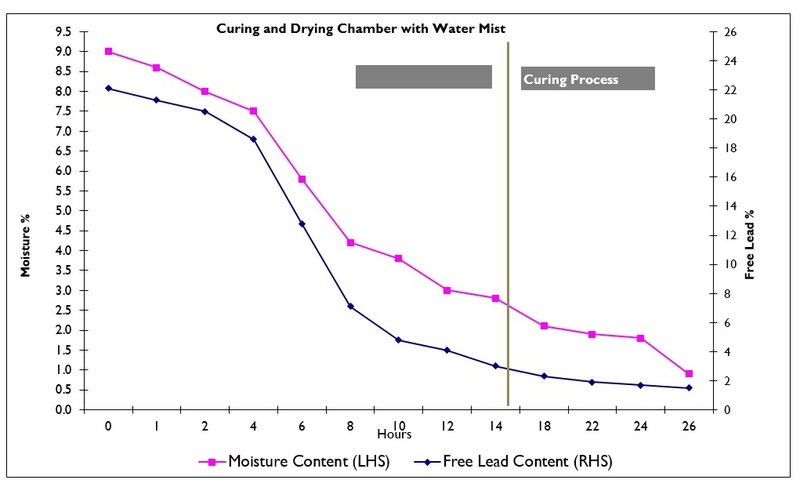 •	Duration of curing cycle and drying time has to be decided based on desired free lead % and moisture content. •	To achieve good and consistent results, the curing chamber has to be loaded in optimum time i.e. max four hours. 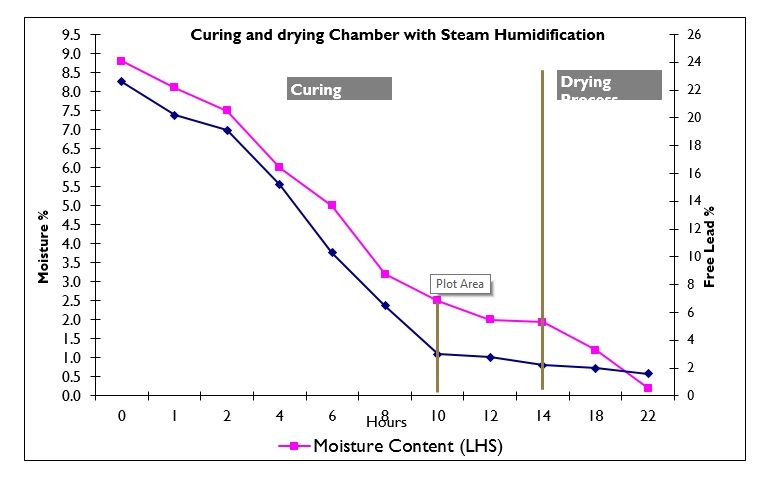 •	Most important factor is to retain min 9% of residual moisture in the plate before starting the curing process. •	Regularly control the parameters during the curing process and monitor the end results.